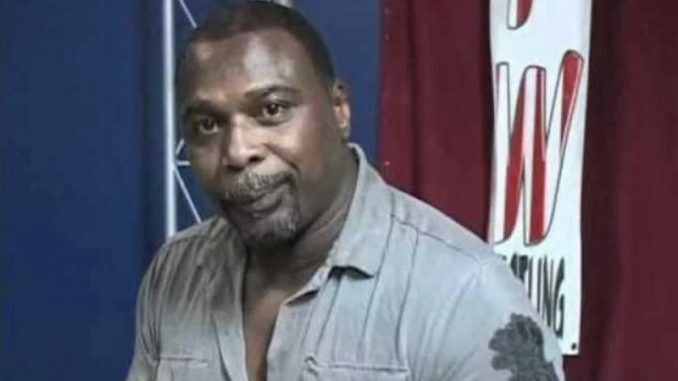 Frederick Seawright, who competed as Brickhouse Brown, has lost his battle with cancer and died Sunday morning while in hospice care. Seawright began his wrestling career in 1982 when he was able to talk himself into wrestling for Joe Blanchard’s territory without any prior training. He was noticed by Terry Funk, who assisted Seawright in his training after his start. He also teamed with Norvell Austin during the earlier portion of his career, which predated his time working in Memphis, where he accumulated his most notoriety. In May 1986, he worked on the undercard at Texas Stadium on the Parade of Champions II show. Brown teamed with Chris Adams on the stadium show and defeated John Tatum & The Grappler Len Denton. The show was headlined by Kerry Von Erich, teaming with Lance Von Erich & Steve Simpson to defeat The Freebirds for the for the World Class six-man titles in a Lumberjack Elimination Match. Seawright began with Memphis in early 1987 and was given a big push within the first few months in the territory when he was paired with Jerry Lawler. The two exchanged the AWA Southern heavyweight title in July 1987 with Brown upsetting Lawler at the Monday night show on July 6th and dropped it back the following week. The following year he became the CWA heavyweight champion for one-month, defeating Maxx Pain (Darryl Peterson) by forfeit on May 23rd and dropped the title back to Pain on June 27th. Following the majority interest of WCCW that was purchased by the CWA, the USWA was the promotion that rose out of the combined offices in 1989 with Brown part of the group. During the USWA years, he formed a team with Sweet Daddy Falcone and won the promotion’s tag titles in April 1990 from Rex King & Steve Doll, The Southern Rockers and held the belts for three weeks and dropped them back to the Rockers. He later teamed with The Gambler (Jeffrey Gann) and won the tag titles in April 1995 from PG-13 and for quick back-and-forth title switch yet again Brown’s career. His final run with the tag titles was in July 1996, teaming with Reggie B. Fine to win the titles from Flex Kavana (a young Dwayne Johnson) & Bart Sawyer and dropping them the following month to the Spot & Rover rendition of The Moondogs. Brown would also appear randomly on television for the WWF in an enhancement role. Seawright was diagnosed with prostate cancer in April 2017 and it reportedly spread, sending him into hospice care earlier this year. He had lost 100 pounds as a result and was down to 150 as of a few months ago. He was the recipient of the first Courage Award that was presented to him by the Cauliflower Alley Club Reunion earlier this year, which Seawright accepted in person and gave an emotional speech. Seawright was 57 years old.